Making the decision to sell your home is not a decision that is easily made. With the sale also come many different questions that are often left unanswered. While we all know an experienced real estate agent is key to have a successful sale, what we may not know, is how many different things we, as the homeowners, are able to do on our own to help our sale. If you put in some elbow grease, you will be amazed at how quickly and smoothly your home sells once it’s listed. 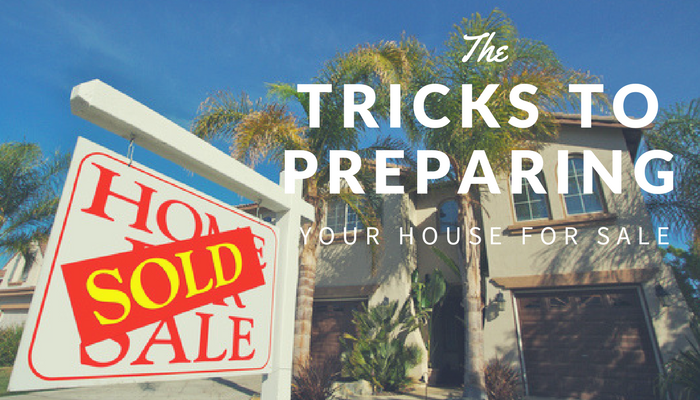 To help you and the sale of your home, here are a few different ideas you can put into practice to prepare yourself for both the listing and the sale. 1. Smell-We all love walking into a store or restaurant and smelling a friendly and inviting aroma. The same goes when for your house. The last thing sellers want to “see” or in this case, smell, is something that is unpleasant. A great example of this would be bacon while it may be delicious, the smell lasts for days. Try lighting a fresh scented candle or baking a batch of cookies instead. 2. Go Neutral-We all love our design styles and love the personal touches that have been added to our home, however, not everyone has the same style. Take a weekend to paint any and all accent walls back to a neutral color. This will allow potential buyers to focus on the space of the house and not the colors. 3. Light and Bright-Keep the drapes drawn, the lights on, and the rooms open and bright. Allowing light into the rooms will make them look more inviting and even larger than a darker room of the same size. 4. Mother Nature-A simple vase with fresh flowers can add just the right touch to brighten your home and put a smile on your buyer’s faces. Make sure the flowers are fresh and in good health and when needed, replaced. 5. Open up Space-Oversized and bulky furniture can make a room look and feel smaller than it truly is, if needed move out some of your furniture to ensure that the rooms aren’t over filled and cluttered. 6. Closet Space-A huge selling point in homes is the amount of closet space that is available. Organize and clear out the majority of your closets when possible to make them appear larger than they are and show buyers there is enough closet space to fit their needs. 7. De-Clutter-Move the piles of shoes in the entry, toss the mail from the kitchen counter, and remove any and all clutter that is lingering throughout your home to allow your buyers to focus solely on the positive features of your home and not get distracted by the day to day items laying around. 8. Green Thumb-While the inside of your home may be in pristine condition, the outside may be falling flat. Boost your curb appeal by spending a few afternoons outside, mowing the lawn, pressure washing the driveway and/or sidewalks, even planting a few fresh flowers to brighten planter boxes and gardens is all it takes to boost your curb appeal and draw in a few extra buyers. Whether you take a week of vacation time, or simply use a few weekends and days off, putting in some effort yourself will help your sale immensely. If you’re thinking about selling your home or have questions regarding the selling or buying processes, contact an agent today and get any and all of your questions answered. Thank you to Joe Hayden for his guest post this week. Joe is an experienced Realtor in the Louisville KY real estate market. Visit Joe's site for more real estate tips and everything you want to know about buying and selling in his area.